Show me directions to Summit Design Ltd. Founded in Feb 1993 Summit Design Ltd has become a market leader in the Design and Build of all types of Mechanical Services Contracts to restaurants, pubs, clubs and fast food outlets. * Chilled Water Comfort Cooling. * Water Cooled Comfort Cooling. * Kitchen Fresh Air systems. * Fire Rated Ductwork Schemes. * 'Wet' LPHW heating systems. * Smoke Exhaust Extract systems. * Statutory Fresh Air Systems. * Mechanical Services wiring Installations. The Company Incorporates An In-House Air Conditioning Installation Team To Provide A Quick Response For New Installations and Breakdown Maintenance. We specialize in all types of Air Conditioning, from Comfort cooling direct expansion systems to high specification close control systems. We have also designed VAV and VRV systems as well as Chilled and Condensing Water cooling systems. Summit Design Ltd has installed a vast number of systems ranging from simple extract only to heat reclaim and fresh air supply systems primarily in bars, pubs, clubs and restaurants. We also specialise in Kitchen ventilation systems comprising of Canopies, ductwork, fans and Odour Control and Fire Suppression systems. Please Visit Our Website For More Information on Air Conditioning / Ventilation / Service and Maintenance. 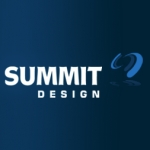 Leave your review of Summit Design Ltd.